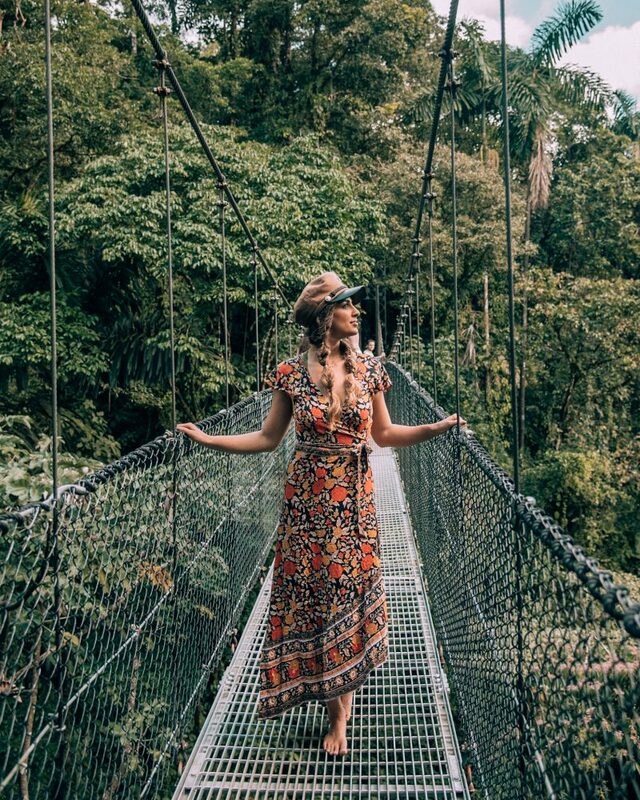 Where to begin explaining the week of jam-packed adventure we had in Costa Rica!! Mel and I were invited by the tourism board to visit the country, experience all the beauty it has to offer travelers and learn all about the ‘pura vida life’ (pronounces poo-rah vee-dah). Simply translated, it means “simple life” or “pure life”, but for Ticos (Costa Ricans), it is more than just a saying—it is a way of life. I had visited Costa Rica once before and had the best time so I was thrilled to be going back. We were able to design our own itinerary, which was amazing (and rare), this allowed us to really focus our time on what we wanted to see most and share with all of you! With so much adventure ahead of us we decided to invite Alex with us, an extremely talented filmmaker we worked with in Mallorca for The Yacht Week to capture this week all on film. We left Montreal and had a quick layover in Toronto then onward to San Jose. We landed around 9pm and went straight to the hotel to catch some ‘zzzzz’. See our full itinerary below. The next day we all piled into a van along with our driver Bosco and guide Mario (Mariocini we called him) ☺ The drive from San Jose too Arenal was long, about 5 hours, once arrived we checked into Arenal Kioro, and grabbed some lunch before heading out for a volcano hike. We thought we would be hiking up the volcano however, we didn’t realize that Arenal is still active and so that isn’t possible. 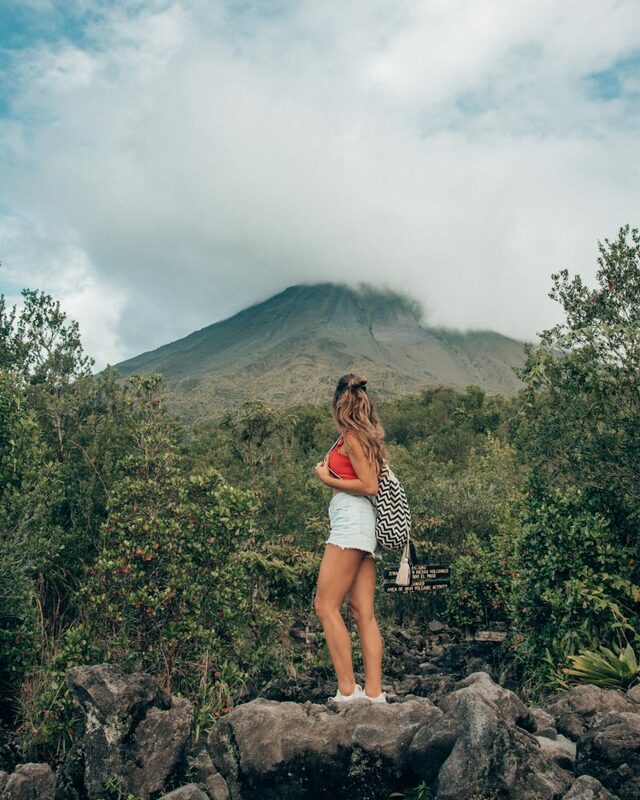 Instead we hiked around it through the Arenal Volcano National Park taking time to learn all about the plants and animals that live within it. We ended the day at the Titoku hot springs; these are natural hot springs (the water is thermal, naturally heated from the volcano). Our hotel had it’s own hot springs however Mariocini suggested these to be nicer, the only downfall is that they were quite busy but if you’re patient enough it clears up to get some cool pics! 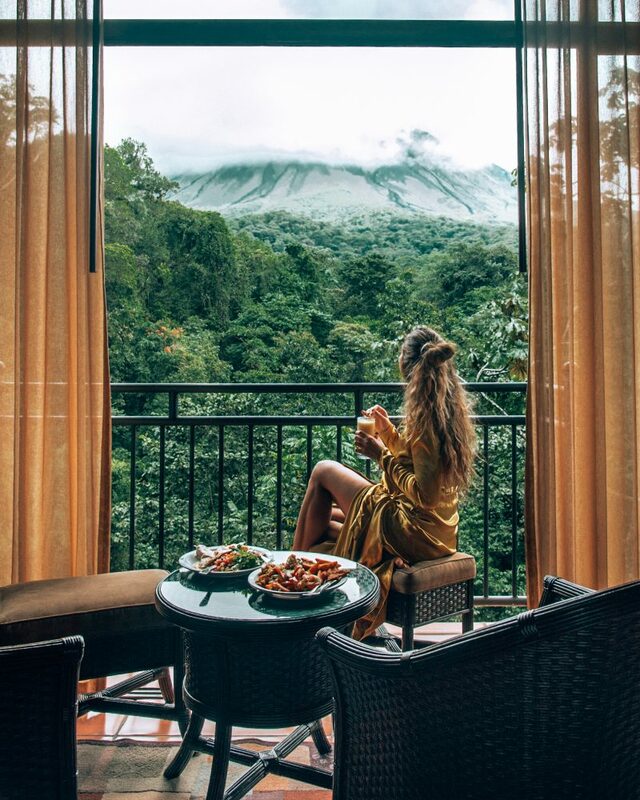 Waking up to a perfect view of the Arenal volcano was really beautiful, a clear view of an active volcano, now that’s different! We went to grab some breakfast before heading out to our first activity of the day, the Mistico Hanging Bridges. These bridges are in a privately owned National Park completely surrounded by rainforest. During the walk Mariocini told us all about the wildlife and eco system found here. We even managed to see a sloth and a spider monkey! On the way back we got caught in a little rain but I guess that’s to be expected in the rainforest! The next morning we packed up and left the hotel early en route to Santa Teresa. It was a 6-hour journey getting there, including the 1.5-hour ferry ride. The drive was long and the roads were extremely bumpy (to the point of nausea) but once we had our toes in the sand it was all worth it! We grabbed a quick lunch in Playa Carmen (very close to Santa Teresa) at the same taco spot I used to frequent and it was just as amazing as I remembered. It’s a little hole in the wall serving up some of the best tacos & burritos I have ever tasted. My recommendations would be the grilled fish burrito (if you’re very hungry), or the grilled fish and falafel tacos, and don’t forget to order guac! Our hotel Pranamar Villas was beautiful, we had our own 2-story villa overlooking the pool and the sounds of the ocean in the background. Since we were all exhausted, we decided to eat dinner at the hotel that night. Dinner was served on the beach and it was phenonmenal. Santa Teresa is filled with fresh, vegan friendly restaurants and this menu had me all kinds of excited! I ordered a watermelon salad, the seafood shakshouka & the tofu chocolate mouse to end the night. It was probably the best meal of the entire trip in my opinion! 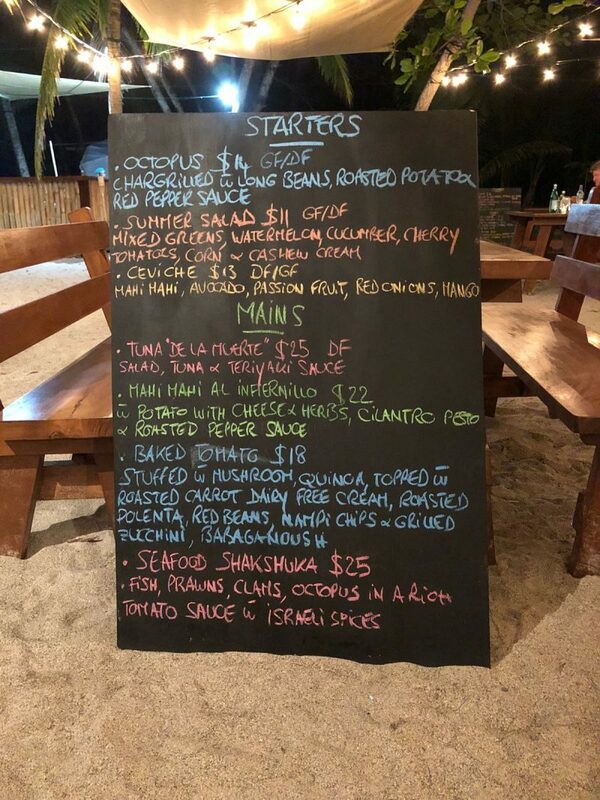 The menu at Pranamar during our beach dinner – note the GF/DF which made it so easy for me! The best little Taco shop in Playa Carmen. A must stop!!! Early the next day we had our very first surf lesson. We had all surfed before once or twice but still wanted the lesson as a refresher. I had actually learned to surf on that exact same beach 2 years about with Shaka Surf Camp (just down the road). Our instructor, Armando was such a great coach, when we did our dry practice on the beach it seemed to come back to me like riding a bike! He had us all standing up on the first day! I even managed to stand up on the very first ride! (So proud of myself!) If you are traveling to this area and looking to surf I would highly recommend either school. After surfing we enjoyed the most delicious breakfast, I got the chia bowl with a surfer’s prana smoothie, heaven on earth! This hotel’s menu is a vegan’s dream, everything is so fresh! In the early afternoon Mel and I enjoyed a private yoga class which was a nice stretch and helped re-ground us which can often be very difficult in a world where we are so connected at all times. Once we finished yoga we ran back to our room and changed into some bikinis for a sunset photo shoot. Santa Teresa has the most spectacular sunsets that we didn’t want to miss it! We ended the night with dinner. We had wanted to go to Koji’s for the best sushi but they were surprisingly closed so we ended up at Katana. The food was delicious, it’s Asian fusion, everyone ordered the green curry and I opted for the sushi and sashimi. In food heaven at Pranamar! 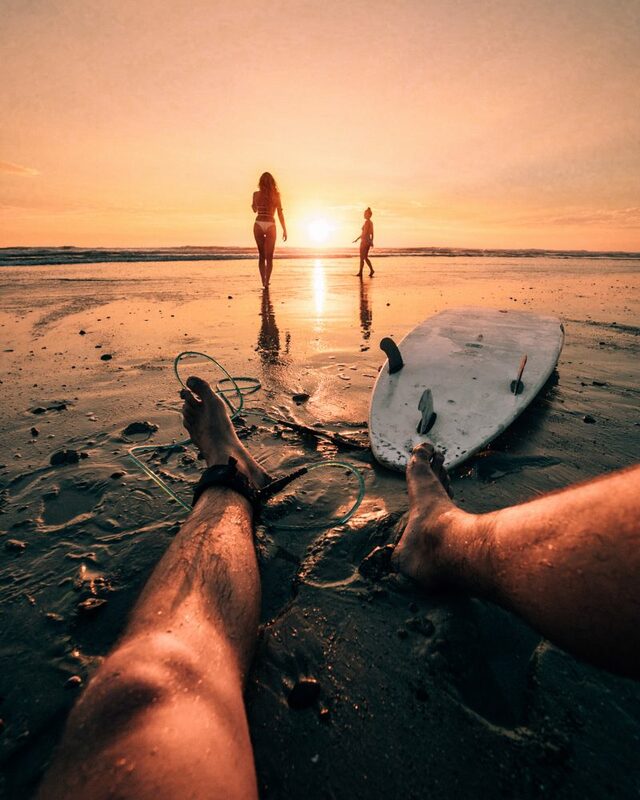 Our alarms ring at 6:30am the next morning and we can’t wait to get in the water and surf some more. Our lessons were from 7-9am, this time we got out there and the waves were a lot bigger and stronger than the day before. I definitely ate it a few times getting Alex’s board in the hand and my fin to the shin (I’ve got the bruises to show for it). But nonetheless it was a blast and it’s hard to get me out of the water, I just wanted to keep going! After breakfast we ventured to Montezuma waterfall. I had remembered the trail to get to the falls from the last time so I knew to wear proper shoes, as you need to climb a bit and walk through water. The waterfall is free to visit and a great way to spend a couple hours either by picnic or grabbing lunch in Montezuma. We ended up spending a couple hours there enjoying the fresh water. We even witnessed an engagement! Then I suggested we climb higher to the top of the falls where you can jump off of a secondary waterfall. (To be clear you can’t jump off of the main Montezuma waterfall featured below, it’s way too high!) So Alex, Mario and I decided to go for it, hiking over tree stumps and holding into vines like Tarzan. We spent another hour or so up there jumping and filming Alex do an epic backflip from 42 ft high (he’s insane!)! When we finally got down we packed up and hit the road to head back. Montezuma is filled with cute little restaurants but since the road was so bumpy none of us wanted to eat beforehand. We decided to stop at the little Taco shop again for a very late lunch once closer to the hotel. We grabbed a bunch of tacos & guac to go and decided to eat at the beach to catch sunset. A perfect way to finish off our exciting day. Later that night we wound up back at Katana as another restaurant we had planned to go to was closed. There we ended running into a few friends from Montreal who had arrived that day. Alex practicing his backflips off a much smaller jump! On our last and final day in Santa Teresa Alex and I got up for one last 7am surf before packing up. We got back to the hotel and did one last quick photoshoot at breakfast before we jumped in the car and made the long journey back to San Jose. We had to be in the car for 10am to catch the 1pm ferry and we finally arrived in San Jose around 5:30pm. We said our goodbyes to our incredible guide and driver and checked into our rooms to freshen up. Alex, Mel and I met for dinner at 7pm in the hotel restaurant and had the royal treatment, a 3 course dinner! I don’t drink very often but we were celebrating our last night together so we each got a drink and cheers to a fantastic trip together! Then to make the night even more special 2 of my followers from San Jose joined us for dessert! There is no better feeling connecting with you guys and hearing about your goals and what inspires you. I love meeting you guys & hopefully I can meet all of you one day! I need to say a huge thank you to the tourism board, Visit Costa Rica for allowing us to come experience the many beauties this country has to offer. I fell in love with Costa Rica 2 years ago and this trip has me longing to go back for more in 2018. We had 6 full days in the country and I’m telling you I could have stayed another 3 weeks! Costaricans are such wonderfully happy people, they have a very relaxed of looking at life. I asked our surf instructor Armando if he’s ever traveled or wants to and he said, “I have no need to. I have everything I need right here.” – he’s 23! 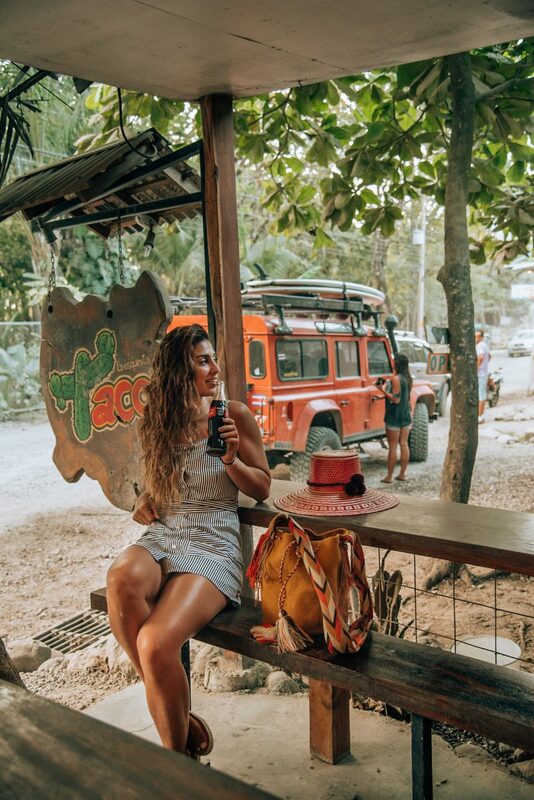 It’s no wonder Costa Rica has been named one of the happiest countries in the world, mostly because Ticos don’t stress about things the way most foreigners do. No worries, no fuss, no stress—pura vida to them means being thankful for what they have and not dwelling on the negative. That’s all for now, I hope this inspires you to visit this incredible country! Next Post My 2018 Goals! 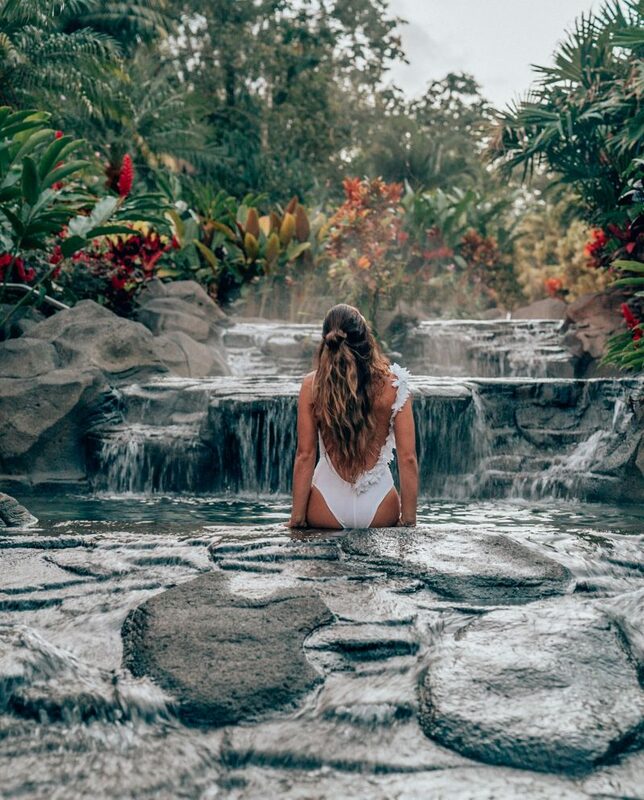 WOW Lisa, Costa Rica looks like the dream destination. These photos are gorgeous, definitely makes us want to visit sometime in the future. I am following your first three days of itinerary 🙂 I love your photos! Who did you book the horse ride with? Yessss!! I love hearing this! I can’t remember who we did the horse riding with actually. I hope you found a great one. I didn’t even know you kept up with your travels on a blog! 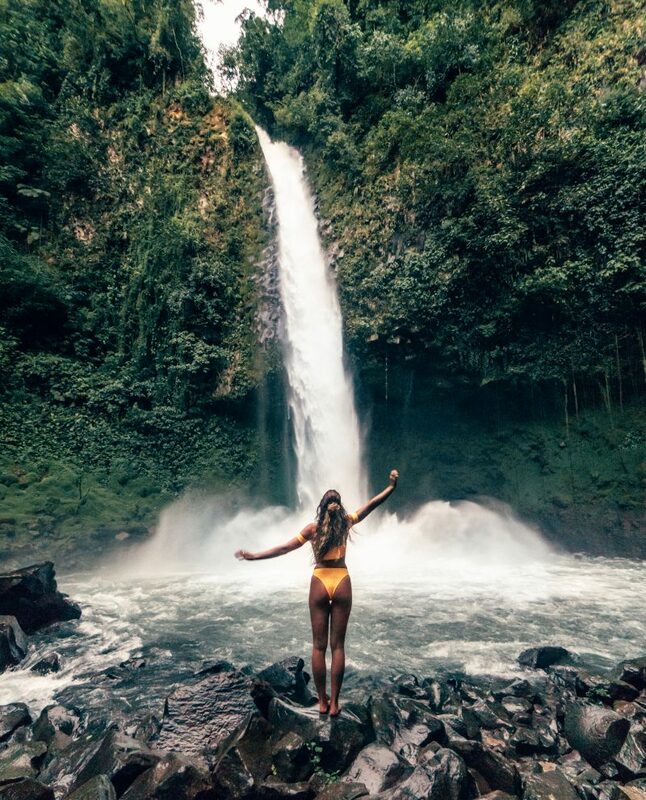 Loved your post about Costa Rica and great to read about the adventures behind your beautiful Insta feed. Thanks for sharing gal! Wanna go there so badly loved your post! Yay I’m so happy to hear that!! 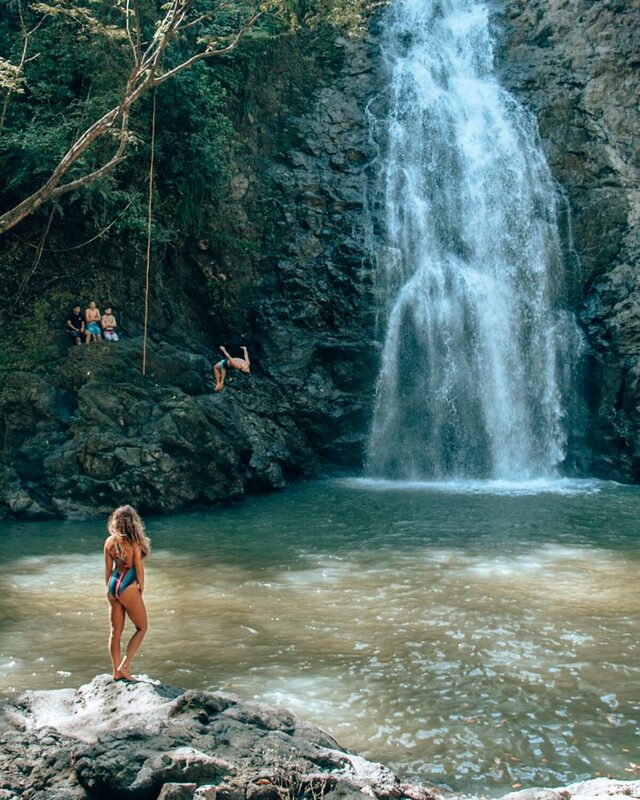 I love this itinerary, Costa Rica looks incredible!! Did you arrange transportation prior to going there? Also how much do you think I would need per day for food? Thank you! That’s so great to hear!! This time around I did have a private driver organized but the first time I visited CR back in 2015 I didn’t. Back then I took the public bus and speedboats to get around and slept in hostels haha. I never once felt in danger there! OMG yes!!! CR is so amazing!! I’ve been twice and I’ll keep going back. It’s really special. Especially the Santa Teresa area!